On the second Monday of every month, a puja and abhishkam are peformed for Lord Shiva at the Chinmaya Sandeepany Shrine of Lord Shiva. 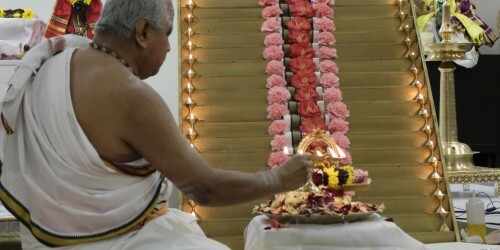 Each month, a devotee and family sponsor the puja and perform the puja and abhishekam with guidance from the officiating priest, a devotee who is trained in pujas and rituals. Those who wish to sponsor the Puja should contact Needamangalam Balachander (nbbala@yahoo.com or 408-605-9924) at least one week prior to the puja. Since each puja can have just one sponsor, devotees who wish to sponsor the Puja are encouraged to make their reservations at the earliest. The suggested donation for sponsorship is $101. 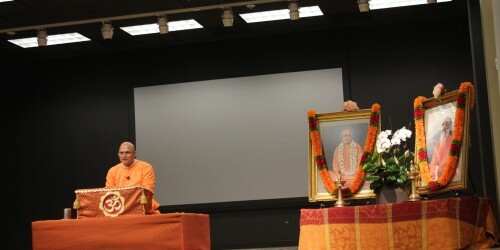 Sponsorship checks should be made payable to Chinmaya Mission San Jose. Sponsors are requested to arrive at Sandeepany no later than 7.15 p.m. The dress code is traditional Indian attire. Sponsors are welcome to bring flowers, milk, and prasad of their choice. These items will be used for the puja. 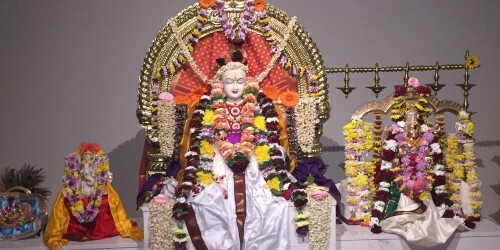 Puja will start at 7.30 p.m. sharp. Poorvanga Puja: The officiating priest performs the Sankalpam (conception), Kalasha Puja (pot of water into which the deities of the 7 great rivers are invoked), Shankha (conch) puja, Atma (Self) puja, and Peeta (altar) puja, chanting of Laghunyasam, and Avahanam (invocation of the deities). The sponsors will then be invited to the altar and guided to perform the Abhishkam to the Deities, using water and milk, to the chanting of Sri Rudram (Namakam & Chamakam). Thereafter, they will be also guided to offer Alankaram (adornments) to the deities, to the chanting of Shiva Mahimna Stotram. Uttaranga Puja: The sponsors will be guided to do Archana to the Deities (Ganesha, Krishna, Jagadishwara, and Pujya Gurudev’s Padukas), and present the offerings of incense and lamps. Sponsors are welcome to bring their cameras to take photographs during the puja.